– COMMAND A SQUAD OF ‘MECHS IN TURN-BASED COMBAT: Deploy over 30 BattleMechs in a wide variety of combinations. Use terrain, positioning, weapon selection and special abilities to outmaneuver and outplay your opponents. – MANAGE YOUR MERCENARY COMPANY: Recruit, customize, and develop unique MechWarriors. Improve and customize your dropship. As a Mercenary, travel a wide stretch of space, taking missions and managing your reputation with a variety of noble houses and local factions. – TAKE PART IN A DESPERATE CIVIL WAR: Immerse yourself in the story of a violently deposed ruler, waging a brutal war to take back her throne with the support of your ragtag mercenary company. 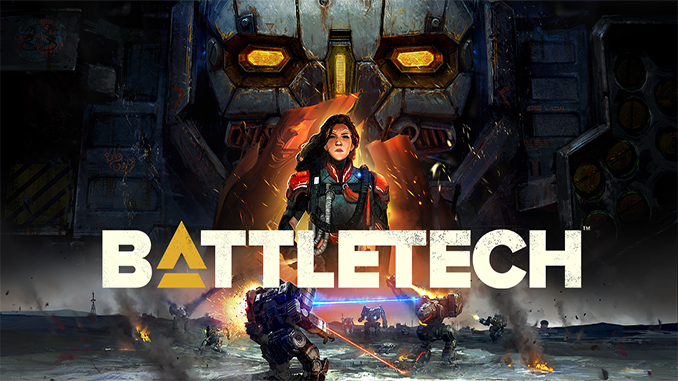 – CUSTOMIZE YOUR ‘MECHS: Use your MechLab to maintain and upgrade your units, replacing damaged weapon systems with battlefield salvage taken from fallen foes. – PVP MULTIPLAYER & SKIRMISH MODE: Customize a Lance of ‘Mechs and MechWarriors to go head-to-head with your friends, compete against opponents online, or jump into single-player skirmish mode to test your strategies against the AI. rom original BATTLETECH/MechWarrior creator Jordan Weisman and the developers of the award-winning Shadowrun Returns series comes the next-generation of turn-based tactical ‘Mech combat. Last patch ? 1.0.1 ? I just cant believe that you guys put so much effort for these old games to be on your site. I literally downloaded all the Star Wars games you have available on your website. I would trust it with my life XD. Do you guys do Mac links? Any chance you could add the new updates? This game is great but the memory leak is killing me. Still no download link for the update 🙁 don’t worry once it becomes available we will post it. where do you download the patches? 1.0.3 was just released on GOG, any chance of having it downloadable here? IS there a updated one avaibale?